Twiz here, and according to the wall clock I have around my neck, it's time for some serious book pimpage. 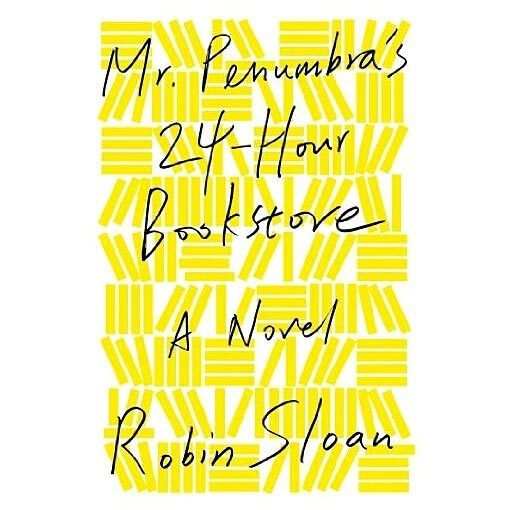 So if you can ignore my stylin new ear hair dreads for just a moment, and focus on my words, I'm going to tell you about a totally awesome book by Robin Sloan: Mr Penumbra's 24 Book Store. 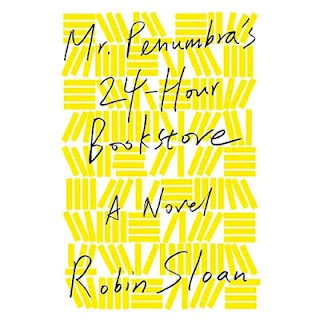 Clay Jannon just got a new job at a bookstore owned by the charismatic Mr. Penumbra, which is good because he's just been wasting oxygen since he lost his job at the bagel place. But something very strange is going on at his new job. He rarely actually sells any books, and most of the store is actually filled with strange hand written texts that he's under the strictest of instructions never to look at. With few exceptions, the only customers are strange characters with a curious fascination about those books. They don't even buy them, but only check them out. So Clay decides, against orders, to see what all the fuss is about. An epic fantasy quest (and this gnome knows his epic fantasy quests, let me tell you) with a technological twist. Clay ends up teaming up with a high ranking Google employee and a modern computer games mogul to try and crack the mystery, but he soon learns that the reach of implications goes far beyond the bookstore and it's quirky customers. With incredibly compelling storytelling ability, Robin Sloan takes readers through the fascinating juxtaposition between old world secret societies, lost knowledge, and their juxtaposition against the incomprehensible power of modern day computers. Conspiracies, secret societies, hidden knowledge, cryptography, typography, cutting edge technology, dark underground fortresses, the power of Google brought to bear on the oldest of human ambitions, and my personal favorite: a huge nerd fascination with books. And not a single undead rogue saying "TEH" as it backstabs you. Sloan will keep you turning pages even as you question the nature of human knowledge and where the limits are on putting our faith in technology to answer everything. I read this book in two sittings over the course of one day. And that's good for me evenwhenI'vehadalittletoomuchbreakfasttea. Sorry. Getting excited. It's a good book. You should check it out. Oh yeah, and it's totally all about the human condition and stuff.